Our express passport service gets your expedited passport in 24 hours! We're an officially registered expediting service with the US Passport Agency. We work directly with each embassy to help expedite visa applications to over 150 countries! Why Choose Passport Visas Express? 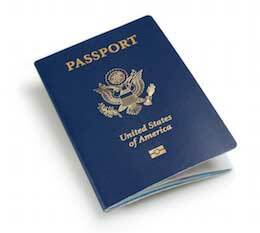 Our express passport service can expedite your passport or visa in as little as 24 hours. We are a privately owned and operated passport expeditor service. For more than a decade, we've been a trusted partner of individuals and businesses and have handled thousands of travelers' vital documents with care and speed. We're dedicated to providing superb customer service and personal attention every step of the way. We're consistently rated as the best in the business. No need to stand in line, we do the waiting for you. Passport Visa Express is an essential service for people and organizations needing to obtain visas or passports in a hurry. I refer people to them regularly. Excellent Service and Customer Care! You couldn't ask for better service, and the individual customer care that we received was excellent. It was hard to believe that we got a passport and a visa back to us in under a week. Earn up 15% providing passport and visa services to your clients. Manage your business travel the safe and easy way.